…or so Alfred Wainwright said. This is something I wrote a while ago for a friend who was visiting the UK and wanted to do some hiking. It’s extremely subjective but outlines some great places to visit. While there are many wonderful places outdoors on Great Britain, the easiest way to get a sampling of the history, ranging from the prehistoric to the industrial, is to visit the National Parks or the “Areas of Outstanding Natural Beauty” (AONB). Scotland has its own way of doing things. The mountains may be small, but they have character and certainly enough character to provide an epic for the unprepared! While National Parks and AONB’s are scattered around the country, I prefer the north. The south, and particularly the Cornwall Area of Outstanding Natural Beauty will have better weather, the north provides a rawness and seemingly a closer connection to its history than other parts of the country. That said, in the south the places I recommend are the South Downs [info|map], Dartmoor [info|map] Exmoor [info|map] and the New Forest. 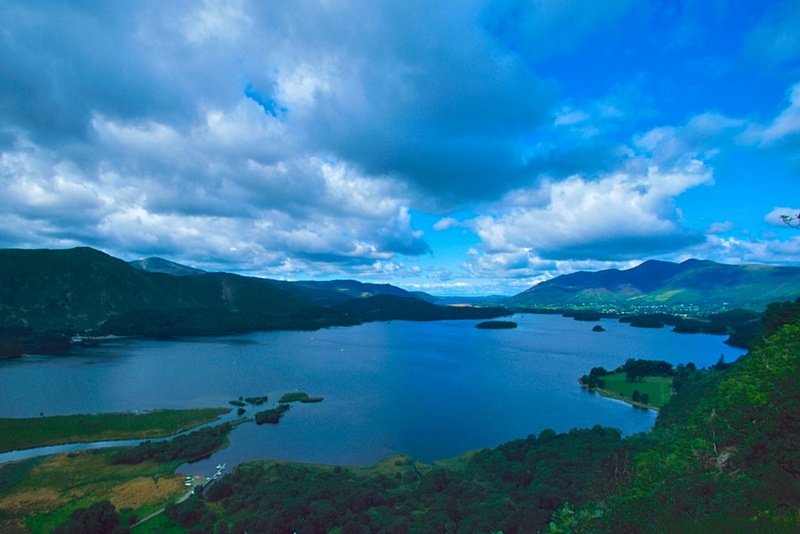 The jewel in the crown of the National Parks is the Lake District [info|map|photos]. The Guardian did a nice overview of some shorter walks. It’s relatively small compared to National Parks in the United States, but sees in the region of 16 million tourists a year (or the same as Yosemite, Yellowstone, Grand Canyon, Arches, Canyonlands, Bryce Canyon, Colorado National Monument and Death Valley - combined (from NPS Stats and STEAM 2009)). In the peak months of late June to early September it can be very busy but it’s worth the trip. I prefer to base myself in Keswick or Coniston, depending on whether I need to be in the north or south Lakes, respectively. Both of these towns are easier to deal with than the tourist-trap towns of Windemere and Ambleside. In the northern Lake District, two of my favourite hills are right outside of Keswick. Both Skiddaw and Blencathra provide a decent climb, though Blencathra provides a more entertaining walk - particularly if you incorporate Sharp Edge into your day. A little further afield is another of my all time favourites, Helvellyn. Often covered in cloud, the routes from the east from Patterdale via Swirral Edge or Striding Edge offer the best walks - the west side is a steep slog. The lesser known High Street) (named for the 2000 year old Roman Road built over the top), offers a quieter perspective. Down the road in Borrowdale, the Langstrath valley walk is less strenuous but still very pretty. If you continue over Honister Pass, you’ll come to Buttermere, another area with many hikes and worth exploring. Down south and near Coniston, my favourite walk is up the Old Man and Wetherlam. I love the ascent via the Coppermines and Levers Water / Boulder Valley. My family has over 1,000 years of history in Northumbria so I feel a special connection to this place. Northumberland National Park is within the least populated county in England and doesn’t see as many tourists. 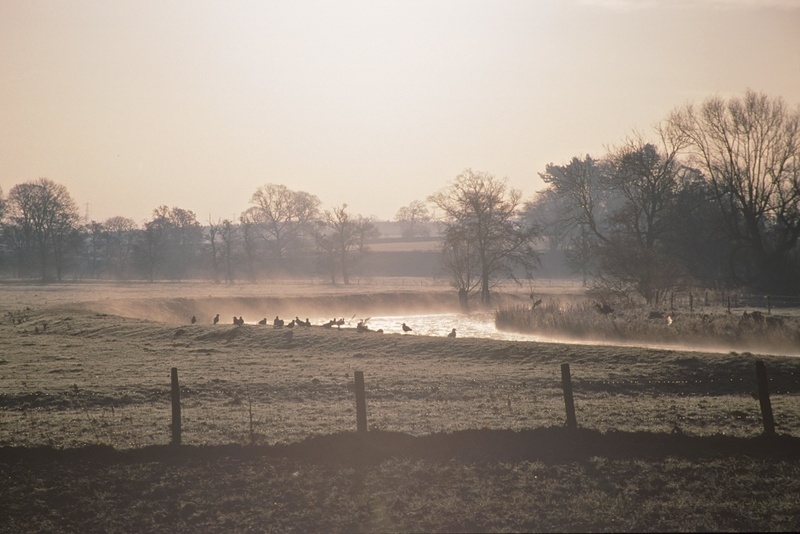 While it lacks the picturesque qualities of the Lake District it makes up for it with a raw and natural beauty. There is an interesting history of early Christianity here including the Lindisfarne Gospels (though they are now in London), The highlights for me are Hadrian’s Wall and the Cheviot Hills. Just outside of the National Park is the Northumberland Coast AONB. Complete with castles, causeways, beaches and sea-life, it’s a very difference experience to the interior of the county. The North Pennines AONB is famous for its moorland. Very quiet and sometimes even bleak, Cross Fell is the highest point and a good walk - though usually very boggy. Further south in Teesdale there are a couple of waterfalls - Cauldron Snout and High Force, though the latter is developed and touristy. My favourite in the area is Mickle Fell and High Cup. Further south again, the Yorkshire Dales National Park has great walking, the classic route being “The Three Peaks”. Tough to complete in a single go, I prefer a more leisurely ascent of each of the peaks separately - Ingleborough, Whernside and Pen-y-ghent. Outside of the park is another of my favourite walks, Malham Cove and Gordale Scar. East of the Dales is another National Park - the North York Moors. It has a different feel from the Dales, more isolated but less dramatic and certainly quieter. The best walking routes in the moors coincide with the Cleveland Way. Alternatively, for a challenge, try the Lyke Wake Walk - once was enough for me… As a contrast, I’ve always enjoyed the family friendly ascent of Roseberry Topping. 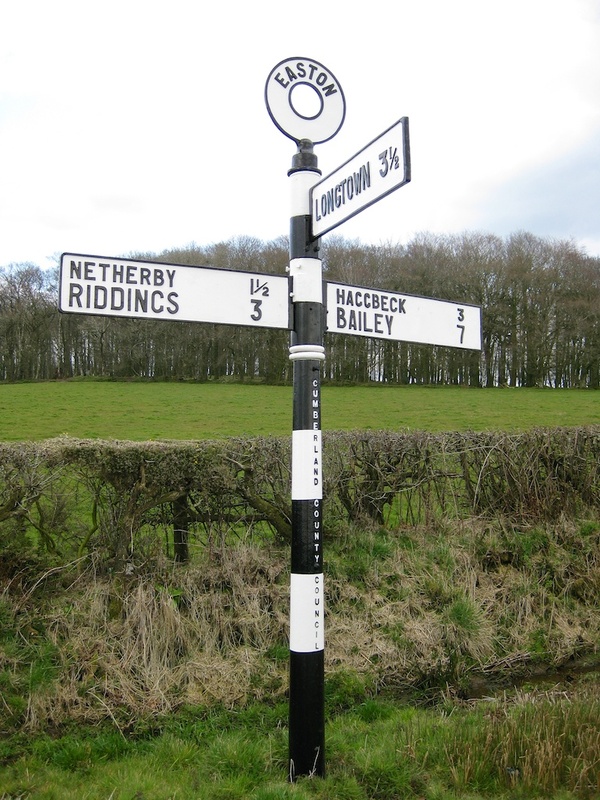 Many of the above walks in Northern England are a part of, or close to, the long distance footpath “The Pennine Way”. While the 268 mile route usually takes two to three weeks to complete, the guidebooks chop up the route into easily digestible day walks. Again, I love the Wainwright style in his “Pennine Way Companion”, updated in 2012. Scotland has 60% of the area of England, but less than 10% of the population. While some areas are very touristy, it is clearly quieter than England and Wales. It’s more of a trek to get there, though the drive or train rides are beautiful. Typically, the further north you go the fewer people you’ll see and the more spectacular the scenery. In the summer though, beware Culicoides impunctatus - the truly unpleasant midgie, I’ve met better mannered insects in the rainforest. 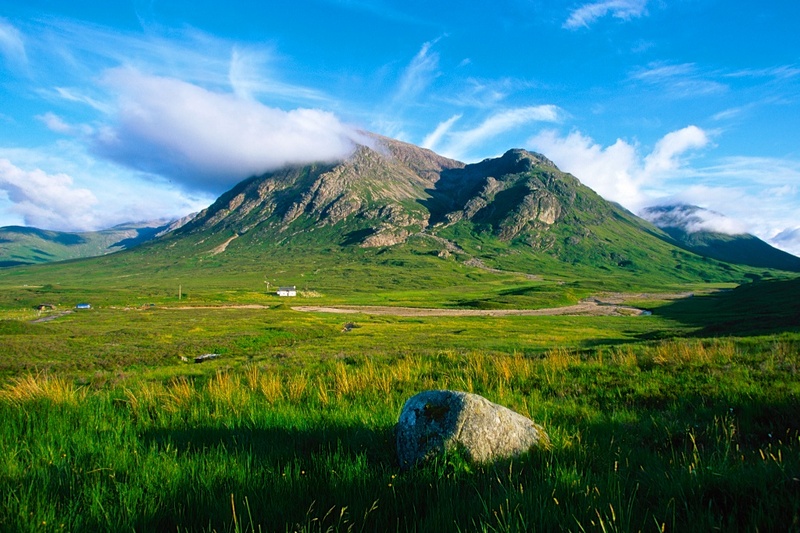 You could spend many weeks exploring Scotland, though from an outdoors perspective Glen Coe is a great place to start. It’s easy to base yourself out of Fort William [info|map]. Glen Coe itself is spectacular, and two great hikes make my favourites list. First, The Buachaille, or Buachaille Etive Mòr, “the Great Herdsman of Etive” is situated in Glen Etive just south of Glen Coe. It’s a steep 8-9 mile walk with great views. My second Glen Coe area walk is the Aonach Eagach, possibly the most spectacular ridge walk on Great Britain. This is a much harder walk, and has significant exposure and some scrambling, though again, spectacular views. 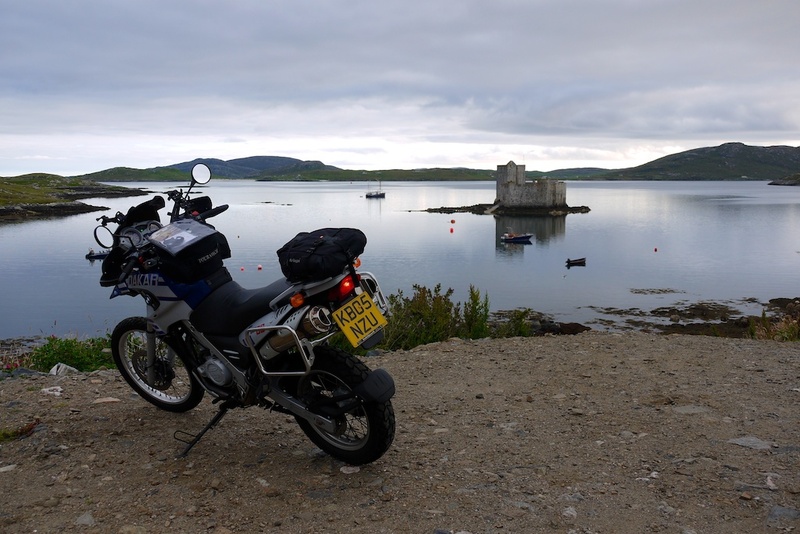 Further afield, there are more remote places in the Highlands and the Islands. The Isle of Skye also has a spectacular ridge walk (really a scramble and some perhaps-avoidable climbing) - the Cullin Ridge. It’s a very long and exposed route that only the adventurous would enjoy. Back on the mainland, and further north again is the area of Assynt [info|map]. There are many great walks in this area, including the three great summits of Stac Pollaidh, Suilven and Canisp. Why 7 Inches Is Better Than 10! It was only a couple of years ago that the only way to have a decent navigation, communications and entertainment system in an overland vehicle was to either 1) buy 3 separate and non-integratable systems or 2) install a laptop (or with much more effort a ”carputer”). We’re lucky today, in the simplest fashion we can throw a phone in a cup-holder and have all three. 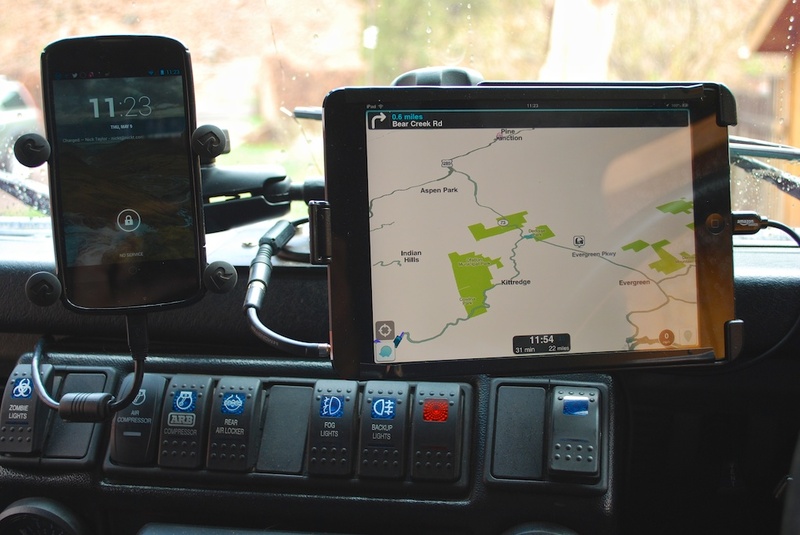 For the compact overland vehicle, a tablet is the best option. Not only are they cheaper and more flexible than laptops and carputers, but they offer higher security (you can grab it and take it with you), they easily integrate with the vehicles audio system, they are light and easily mountable, they are relatively inexpensive, there are hundreds of decent apps (and many more that are awful!) and the touch interface is easy to operate. While there seem to be an endless amount of tablets on the market, and in-line with ”Sturgeon’s Law”, many of them are awful. For practical purposes I’d suggest that there are only 4 tablets worth considering, and 2 on those are of the 10” form factor and therefore I reject them as being too large (though if you have a larger vehicle, they may work for you). I’m using the Nexus tablets as generic Android tablets, feel free to substitute your favourite Android tablet. The 4:3 aspect ratio is ideal for driving. While there are a few Android devices with this aspect ratio, the majority of them are no-name brands with the baggage that brings. So, even though the iPad Mini has a lower resolution and ppi than the Nexus 7, it’s still a better tablet for in-vehicle us. It’s not the amount of pixels - it’s where they are. The 4:3 aspect ratio utilises the screen in a way that is better for the touch targets, and is better for mapping and navigation apps (as you can see more “ahead”) - which is likely to be the primary use of the device. Of course, you are giving up some resolution - hopefully that’ll be fixed later in 2013 if the rumoured Retina iPad Mini is released. TL;DR, the iPad Mini is currently the best tablet on the market for an overland vehicle as 10” tablets are too large, and it has a 4:3 aspect ratio. 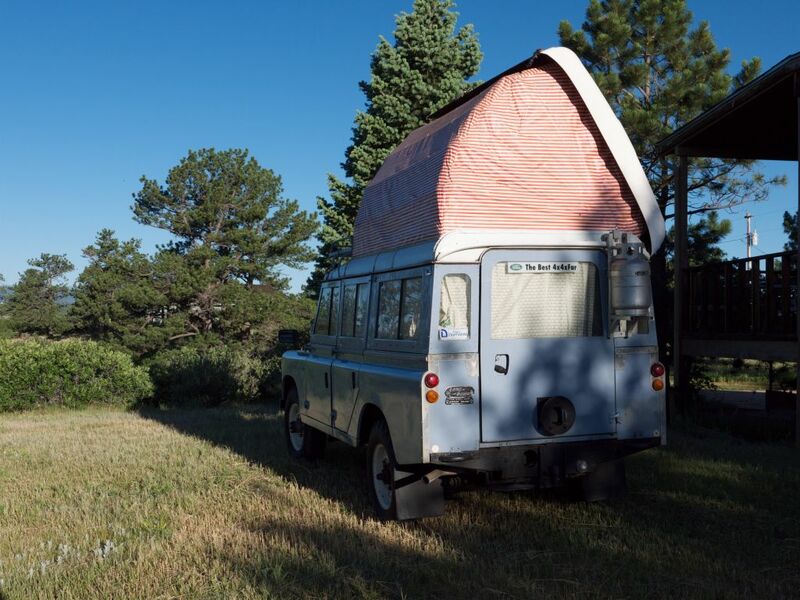 Regrettably, I’m putting up my Dormobile up for sale. It’s a great base vehicle that’s in pretty good condition for a 41-year-old, but I’ve realized that I’m not going to have the time to perform the restoration I would love to do. That said, it doesn’t need a full restoration. Put a couple of $k into it, and you’ll have a very useable weekend vehicle, as long as you don’t plan to drive 80 mph everywhere. It’s a rare 2.6l 6 cylinder Series IIA, and also unusually it’s a 1972 Series IIA as it was registered in the UK after the Series III became available. It’s spent most of it’s life in South Africa, and I discovered it in Nevada in 2008. It’s a Right Hand Drive vehicle. 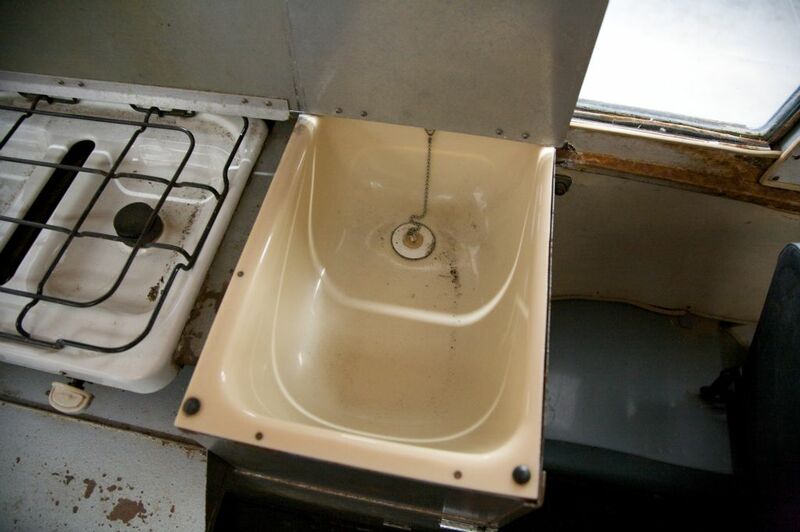 It comes with everything Dormobile, yes, including the kitchen sink! The only thing that’s missing is the rear-door table. They may be available from Dormobile in the UK, who still supply a lot of the original Dormobile parts. It’s drivable, but recently developed a leaky petrol tank. The brakes need some work also, as they are currently more entertaining than I like… Get those fixed and give it a good service and you’re good to go. There’s lots more info on my website - http://www.nickt.com/dormie, and there are lots of photos in the gallery. The original specs and the BMIHY (“Gaydon”) Certificate are also available. You can download a PDF mini-brochure too. 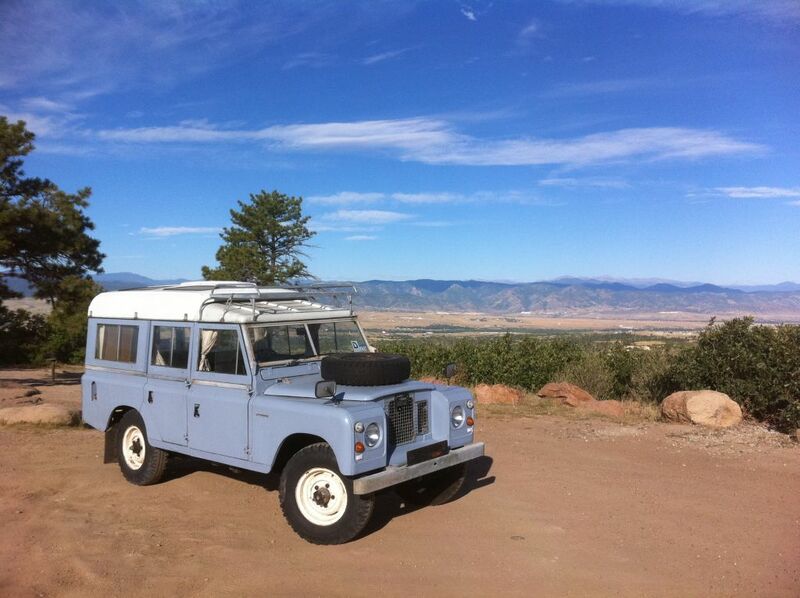 The Dormobile has a clear Colorado title and is currently in storage in Golden, CO. Please send me an email if you’re interested and would like to find out more. I’m open to offers around $12,000. 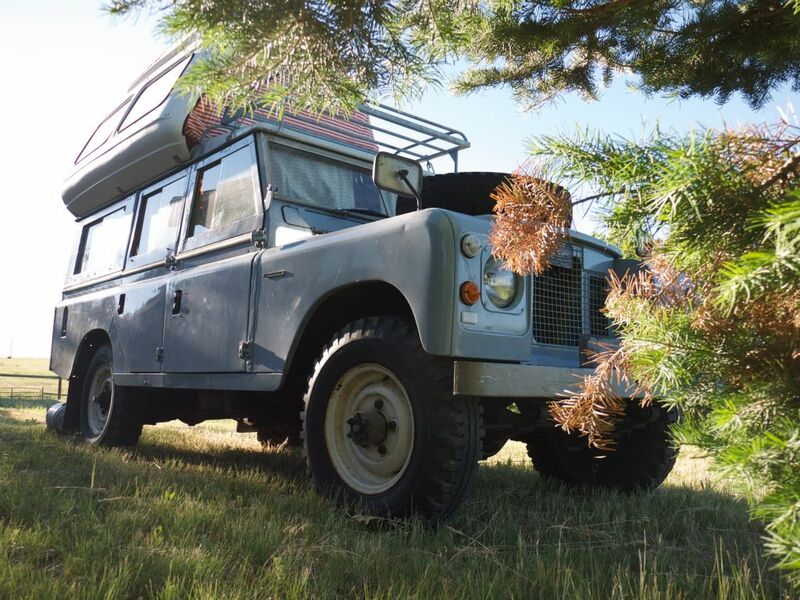 If you’re after a Land Rover Defender in the US, here’s an idea. It’s possible to pickup a used one in the UK or Europe (which of course may have fared better away from the UK’s salty and humid atmosphere, and will also be left-hand drive), which now in 2013 means you’re looking for a 25 year old truck (1988 or older) to conform with the NHTSA requirements. Clearly, anything that old will need a restoration, and the older engines are a bit anemic. Why not swap out the engine while you’re on? Later in 2013, Ford introduces the replacement for the Econoline series of vans. Bringing the US into line with the rest of the world, the love of ”White-Van Man”, the Transit will arrive as a 2014 model with petrol and diesel engine options - we’re interested in the diesels, particularly the 3.2 5 cylinder diesel. In the rest of the world, it’s a ”Duratorq”, though in the US it’ll be branded as a Powerstroke. It’s a nice engine with about 200 horsepower and 300 torques, it’s built in Ford’s engine factory in Port Elizabeth, RSA, shipped to the US and popped in the Transits in Kansas City. This engine clearly has to meet all the current and near-future emissions regulations. To meet these regulations, the US version of the engine will have a selective catalytic reduction system (probably a urea reductant) to reduce nitrogen oxides. It’ll run on B20 and well as ULSD. And the good news? These engines fit in a Defender. Bell Auto Services in the UK have fitted a 250hp (which is about 150hp more than my 300 Tdi) into a Defender 90. Twice. Nene Overland are also offering the engine in their iCON range. 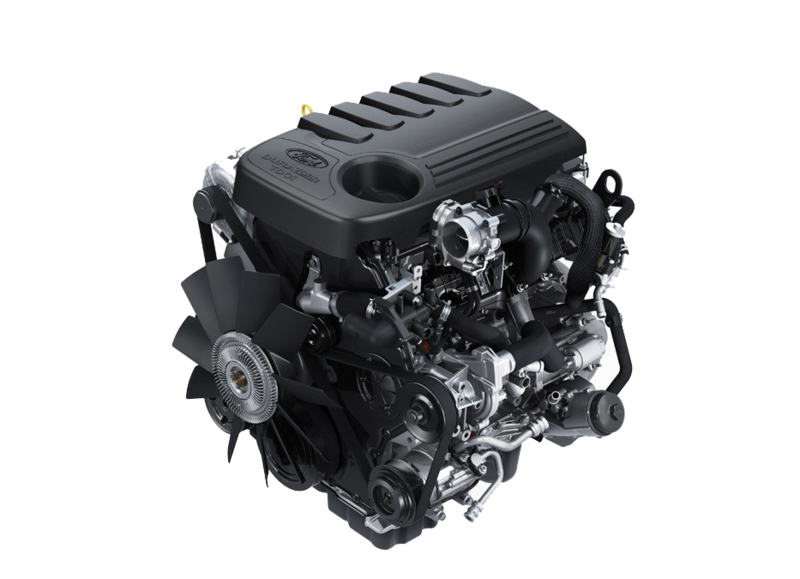 Beef up the transmission with the MT-85 manual gearbox or a ZF autobox and you’re good to go. A fully restored, US-legal Defender with a 200+ hp EPA approved engine? Sign me up! After discovering the Lee gives a fright video sitting on my computer, I did some digging and found the photos from our Southern Africa trip in November 2002. 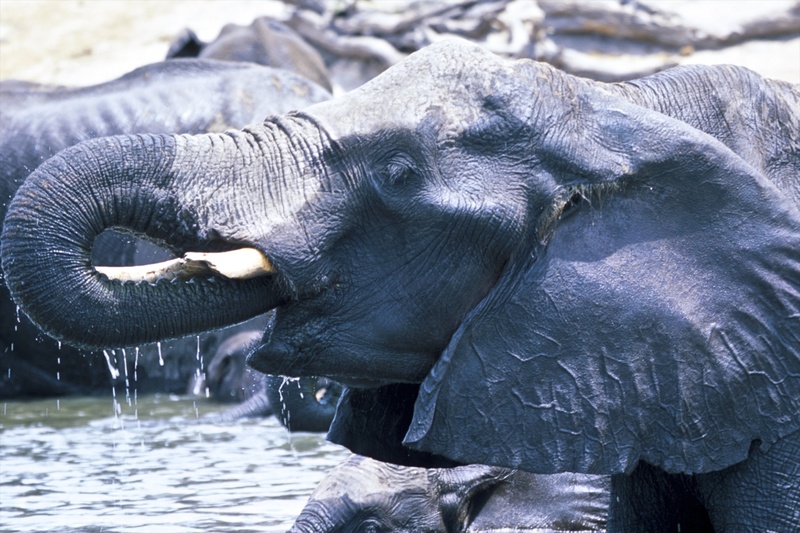 A few years ago we did an extended trip around Botswana and Namibia. Sitting around the campfire, we started to tell ghost stories - beware the dark! Lee gives a fright from Nick Taylor on Vimeo. I’ve spent some time in the Sahara, but never been to Chad. The Ennedi Plateau looks like a place well worth exploring. If you’re looking for towers to climb, check out this video produced by Camp 4 Collective for The North Face. Fantastic location, climbing and filming. I’ve neglected this blog over the past year or so, and all of the infrastructure. nickt.com was hosted with Media Temple (mt), and a great job they did too. Solid uptime, great communications and extremely responsive customer service (on the rare occasions I had to call upon them for support). However, it was costing me over $600 a year, and while at one time that was ok, my needs have changed and I no longer need a dedicated VPS and complicated hosting. I’ve used Amazon Simple Storage Service (S3) in the past, but as I was using it to backup gigabytes of photos and videos it started to get expensive and I stopped using it. However, it seemed an ideal place to stick a blog as it’s storage requirements are modest. S3 buckets can be setup to serve static content, which is an ideal way to move away from the complexity of mysql and PHP. Installed the latest Xcode from the App Store. Ruby Version Manager from Macports won’t install on OSX Lion so I installed homebrew. Installed Ruby 1.9.3 (the version OSX 10.7.2 ships with is 1.8.7 and Octopress needs 1.9.x). Installed (cloned) Octopress from github. Installed the Ruby Gem Bundler. And that got it installed on two of my Macs. I have the slightly scary setup of using Dropbox to sync across my Macs, and the git repositories are in Dropbox. As I’m the only editor, and the files are small (so very fast syncing), I don’t think it’ll be a problem. Now this was trickier. There are basically two options. Use the database and run some sql and hopefully everything will be converted from HTML to markdown. You can read about that here and here or dump the XML from Wordpress and run the exitwp script. There is also a forked version of exitwp. Now all I have to do is write more. 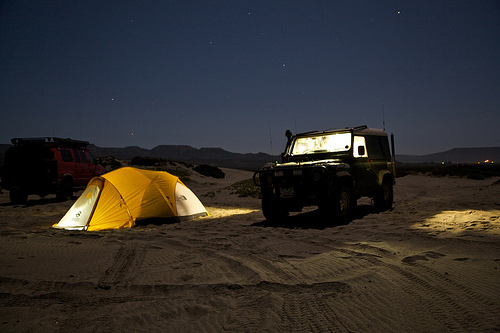 I like camping in the desert. There has been a lot of chatter this week about iPhone location tracking. I downloaded the iPhoneTracker app to take a look. This app finds the latest backup on your Mac, and pulls the lat/long data and presents it on a zoomable map. I noticed something I didn’t expect. I have a Verizon iPhone and I don’t take it when I travel internationally. 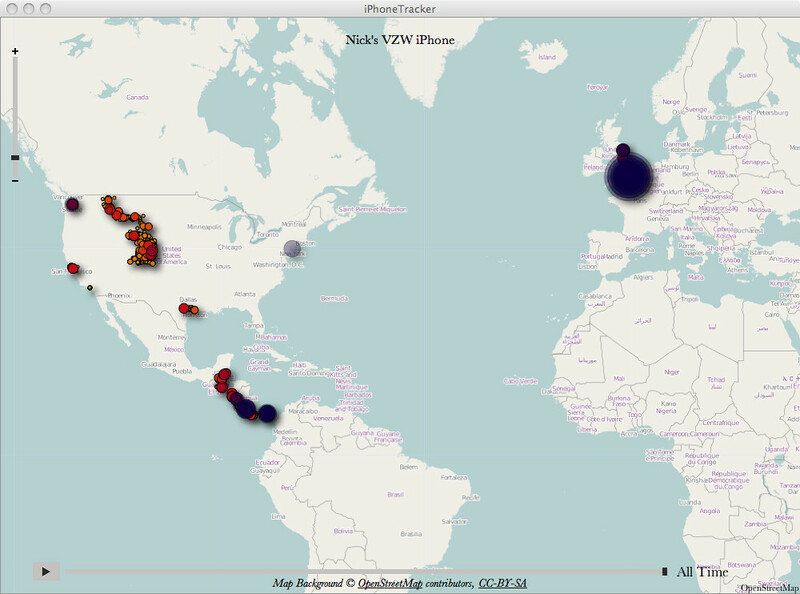 The points you can see on the map in Europe and Central America come from data collected from my last GSM-based iPhone 4. When I moved to the new phone, I did a backup and restore. So if you do this, the consolidated.db data contains location data from all your iPhones, not just your current one. The codex exerro by Nick Taylor is licensed under a Creative Commons Attribution-ShareAlike 3.0 Unported License. Powered by Octopress on Amazon S3 with the slash theme.